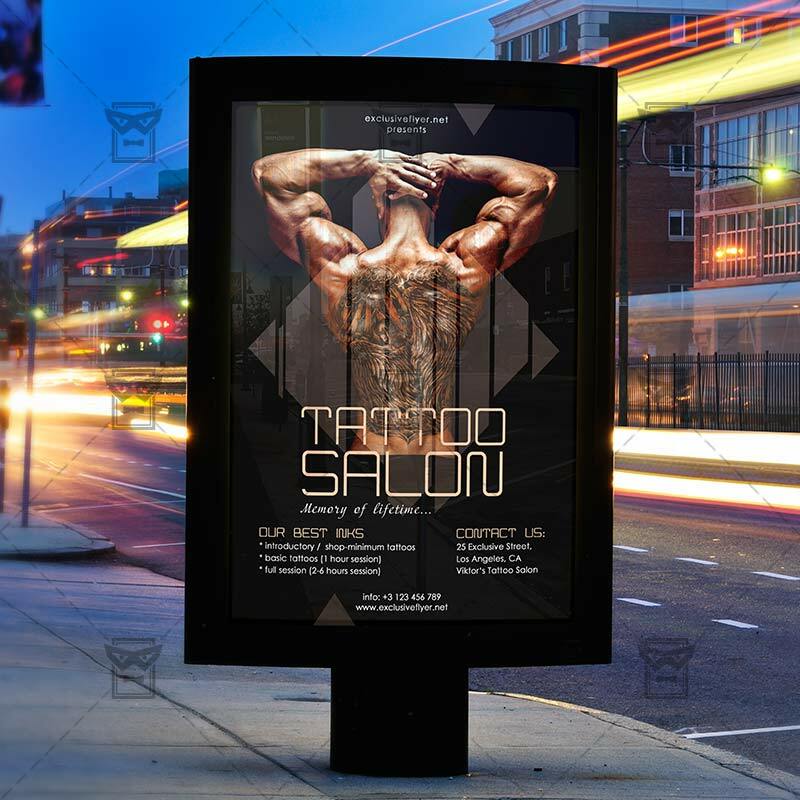 Tattoo Salon is an exclusive PSD flyer template for Adobe Photoshop designed by our best graphic designers to facilitate your task in promoting your business. 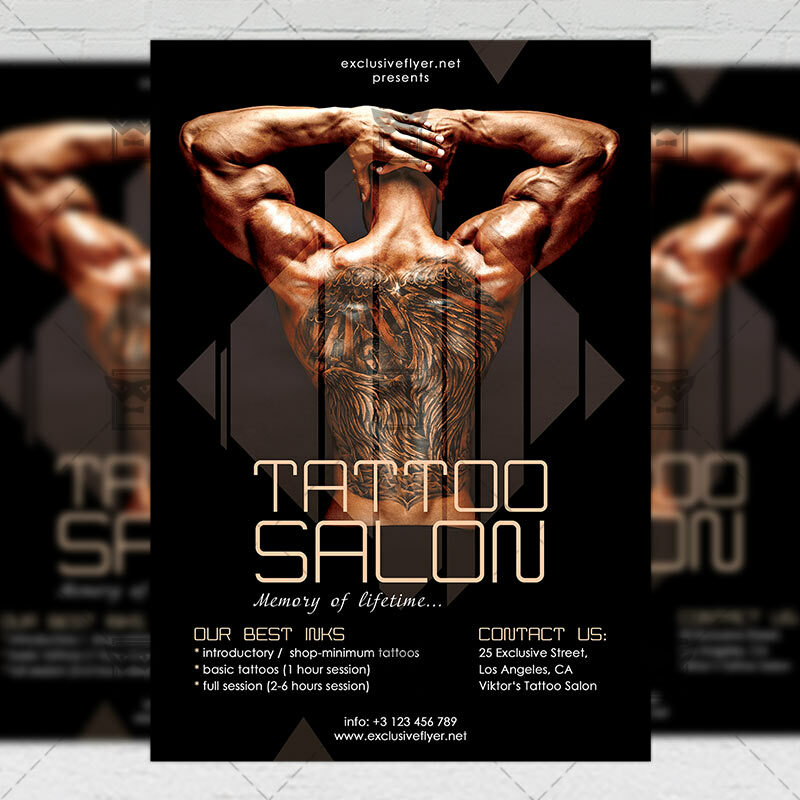 With our readymade Business flyer in psd format you can invite you customers and guest to your event or to the best Tattoo Salon, Tattoo Party or Tattoo Festival in their lives. The Holi Festival is the exclusive Photoshop PSD flyer template designed by ExclusiveFlyer to promote your Holi Festival. Stylish Business Card is a premium Photoshop PSD business card template designed by ExclusiveFlyer to be used with Photoshop CS4 and higher. Once you have purchased this business card template, you are free to make any customisations and modifications you wish. This easy-to-edit Stylish Business Card template will help you produce a professional quality business card design in no time at all!